Khabar: Fatherhood: Where's My Cheese? Home > Magazine > Cover Story > Fatherhood: Where's My Cheese? 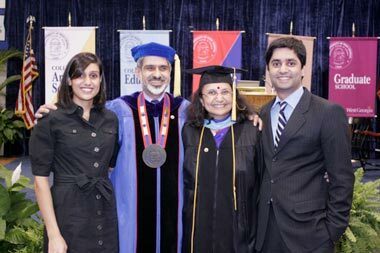 Indian-American fathers deal not just with the generational changes in their role but also cultural ones. In the process many of them find that their cheese—in the form of patriarchal privileges and social and cultural norms that their fathers enjoyed—has not just been moved but has disappeared altogether. We talk to several fathers and experts about what this role transformation means for modern fatherhood. “The same act would follow when my maternal uncle made his entry a little later in the evening. As soon as he settled down on the cushioned swing in the living room, he’d be handed a glass of water and the newspaper. I can hardly believe that this was just a generation ago,” says Soni* in amazement, being acutely aware of the fact that his role as a father in America of two American-born boys seems ages apart in so many ways. (* name changed by request). While fatherhood has undergone a generational metamorphosis all over the world, for Indian- American fathers, that role transformation is far more pronounced. They deal not just with the generational changes, but also cultural ones in the move from India to the U.S. Instead of being handed a glass of water when coming home after a long day’s work, the modern father, upon entering the house, finds not a household ready to cater to his needs, but perhaps a baby whose bottle he has to warm and whose diapers he has to change, a toddler he has to entertain or put to bed, and a sink full of dirty dishes. His equally stretched and exhausted wife expects nothing but an equal partnership in child rearing. Joint decisions made by the two, rather than unilateral edicts, are now the norm. To top it, these fathers also have to keep up with an endless “honey do” list, and an ever-expanding set of functions and files of modern living that their fathers would have had a dizzy fit over—various sets of life and property insurances, ever-changing medical insurances, finances, retirement portfolios, college savings, bill-paying, termite coverage, and what not. All this while also chauffeuring their kids to piano lessons and soccer games. Is it any wonder that modern fatherhood, just like modern motherhood, is a daunting job? It’s not just that their cheese was moved, but for Indian-American fathers, it seems to have disappeared altogether, leaving many of them lamenting about how easy their fathers had it. Also, it’s not just the physical realities and the demands made on fathers that they find challenging, but also the distinct downgrade in stature compared to the fathers of the past patriarchal generations. Priyen Shah willingly opted for a cut in salary and benefits at his executive level job at Sun Trust Bank to embrace the demands and privileges of modern fatherhood. 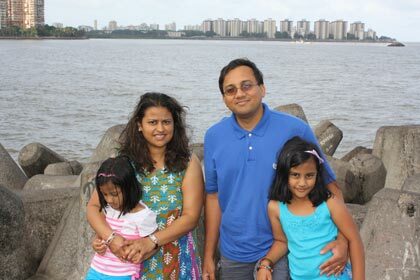 Seen here with wife Sheetal and daughters Aashna (8) and Aryaa (6). For Priyen Shah, a resident of Johns Creek, Georgia, and a program manager at Sun Trust Bank, the intensive engagement with his daughters began even before the girls were born. He took the Lamaze classes with his wife, Sheetal, a CPA, and knew right then that his fathering experience would be nothing like that of his own father. “My dad never changed a diaper; but here it is part of the partnership,” says Shah, who, despite the demands of his corporate responsibilities, learnt to cook to help out with the raising of his daughters. Already a fully engaged father, Shah takes on an even larger “Mr. Mom” role each year during the tax season when his wife puts in long hours at work. From laundry and cooking to chauffeuring the children to dance, sports, and other activities, cleaning the fish tank, taking care of the cat, he does it all—while keeping up with the demands of his own executive-level job. “I never thought I would have to wear these hats,” says Shah. What has also taken a little getting used to is the equal footing that his daughters put him on with their mother. To illustrate this, Shah points out how naturally his daughters question him about why he’s home late from work when his wife can make it back on time (except during tax season). The unquestioned “authoritarian father figure” that Shah witnessed growing up posed a stark contrast to where he finds himself now—a father in a typical American two-income family where the overlapping of parental roles is what keeps the household running. 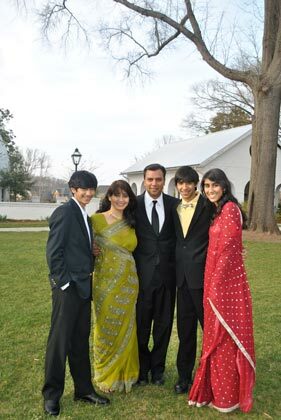 Dr. Anuj Manocha with son Ajay (14), wife Bindu, son Nikhil (13), and daughter Shefali (16). Rahul Bali with wife Dhruti Contractor and son Shyam. Bali put a rising career in journalism on hold when Shyam was diagnosed with a condition that required constant monitoring. For about a year-and-a-half Bali attended to his son’s every need, from nappy rash and feeding to medication and therapy. Now that Shyam’s condition has been improving, Bali is finally looking forward to rebuilding his career. However, he remains the primary caregiver and the one to take Shyam to therapy, where he is one of the rare dads amidst an overwhelming majority of moms. And so it is that in a single generation Indian-American fathers have seen their role morph from a patriarch who was catered to, to an equal in a joint partnership. Add to it other changes—such as the fact that domestic help, which was plentifully available in the time and place they left behind, is simply not a part of the equation of their current lives. These dads who had not seen their fathers pick up their own dishes are now commonly the ones in charge of taking out the garbage—amongst a long list of other responsibilities around the house. How do the fathers feel about their changed role? Expanding on the theme of independence, Soni now believes that the availability of household help in his childhood days in India was also not as much of an advantage as he thought it was when he first moved to the States. Having done their own dishes and other household chores for years now, the Sonis have come to realize that they like not being dependent on anyone. During a recent visit to India, the servant at the home of their relatives called in sick. The immense stress that he saw his aunt fall into on account of that news made him realize how terribly dependent they were on this help. In contrast, “I actually have come to like my time doing dishes. It is one of the few times during the day that I can afford to be meditative—instead of always rushing to the next thing,” Soni admits. 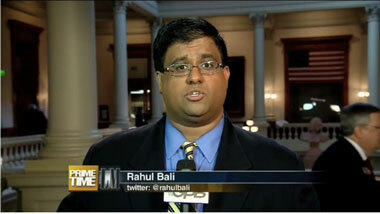 Shah, too, sees the benefits of this expanded role that Indian-American fathers have taken on. He wants his daughters to grow up to be strong, confident, and independent like his wife, and his own acceptance of the changes in his role as a father will be a major factor affecting how his girls turn out. He likes that he can better influence his daughters thanks to an active and alive relationship with them as opposed to a casual and distant one. There are fringe benefits, he says, such as being able to encourage his daughters to focus on extracurricular activities like sports apart from traditional dance and music. “I’ve had a ball. I wouldn’t have wanted to give up that enjoyment for anything,” says Dr. Beheruz Sethna, a trendsetting father, about being a highly involved and engaged father. Seen left, and below with daughter Anita, wife Madhavi, and son Shaun. A strong endorsement for the changed role of fathers comes from a veteran father who also happens to be an exemplary, high-profile citizen of Georgia. Dr. Beheruz N. Sethna, President Emeritus and Regents’ Professor at the University of West Georgia, who has been recognized as one of the “100 Most Influential Georgians” six times by Georgia Trend magazine, likes to say that he has “69 years of fathering to his credit” (the combined age of both of his children)! 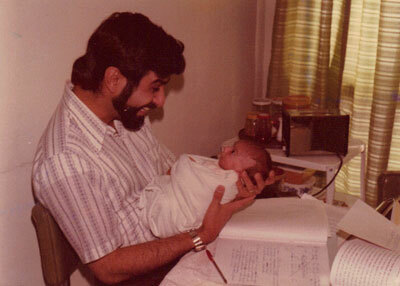 And even at the beginning of this journey over 40 years ago, Sethna was a trendsetting father. The Sethnas had just migrated to the U.S. They both had highly demanding jobs. Despite “sweating tenure at a research university,” he was a willing secondary caregiver from the time his children were babies. There were two phases in their upbringing when he even took on the role of the primary caregiver. Also, when his daughter was in middle school, not only did he wear the hat of a Girl Scout leader but he took up the position of President of the PTA—the only male in a room of 100 people. Sethna views the gradual end of role-bound stereotypes of fathers as “awesome.” He believes the traditional role was not conducive to a positive involvement of the father with his children. “Beyond the physiological difference between men and women, I don’t think there’s much difference between a loving mother and father,” he adds. He feels children now have a chance at a better relationship with both parents. “With the exception of lactation, there is no evidence that women are biologically predisposed to be better parents than men are,” says Dr. Kyle D. Pruett, author of Fatherneed: Why Father Care Is as Essential as Mother Care for Your Child. He believes infants are prewired to connect with both men and women, and it’s the social conventions that are responsible for the traditional division of parental responsibilities. Sethna believes that “the few fathers who broke the norm are the ones who now make it the norm.” Commenting on contemporary India, he remarks that a westernizing India takes the credit for the breakdown in rigid family structures and opening the floodgates to challenges to stereotypes in parental roles. What do these changes mean for the fathers and the children? Is this role transformation beneficial? 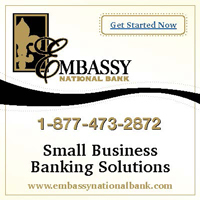 After all, in organizations a clear division of labor is often valued. And that was the case for parents in the prior generation: a mostly clear division of labor between mother and father. Now that their roles overlap, how does it affect the children? Which model serves them better? “It is difficult to say one environment is better than the other as there are pros and cons to both,” offers Navasaria. “It is not necessarily about the amount of time each parent is involved with a child, but the quality of time spent. In my clinical work with parents and children, I’ve found that children thrive when they have open communication, positive relationships with their parents, and consistency in their lives.” And these, according to her, are possible in both models: divided or shared parenting roles. According to Navasaria it is the quality and degree of communication between the parents that matters more than role segregation or the lack of it. 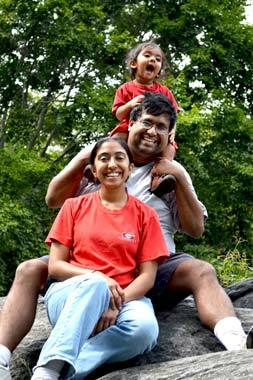 The changing needs of today’s Indian-American family have paved the way for a new kind of father. Admittedly, he does not enjoy the exalted position a patriarch did in a traditional Indian home. But the fully hands-on modern-day dad, physically and emotionally engaged as a nurturer and competent as a caregiver, has managed to gain something that the men of previous generations never could hope for—a rewarding parenting experience that leads to a closer bond between father and child. He may have lost his “cheese,” but has gained something far more precious instead. 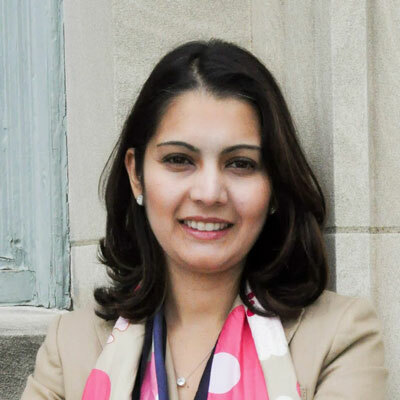 Anju Gattani is an internationally published freelance writer based in Alpharetta, Georgia, and the author of a novel about a modern Indian woman’s tug of war between Duty and Desire. See her work at www.anjugattani.com. Parthiv N. Parekh is the editor-in-chief of Khabar.